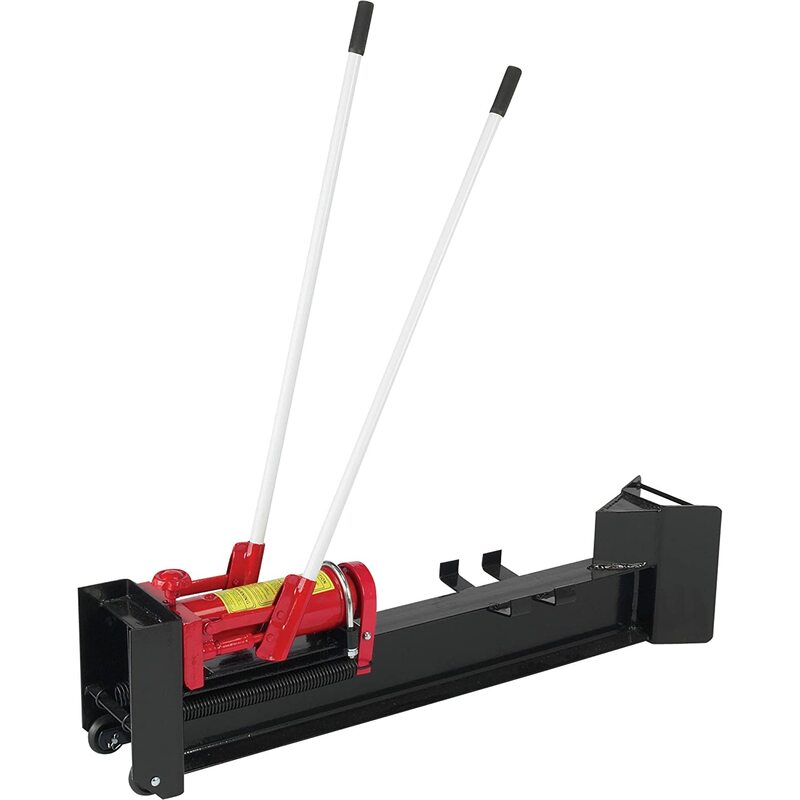 Of all the types of log splitters available to purchase in 2017, the manual variety has to be the most reliable and affordable tool any family could invest in. Other types of machines could set you back $1000’s, which is quite a hefty investment if you have never used a machine like this before. 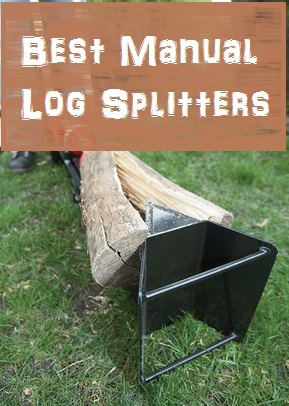 In this buyers guide to the best manual log splitters for 2017, we have compiled reviews of the most practical, affordable and worthwhile investments any family could make.Well, that is if you are dependent on firewood this season. *Note: These are splitters that require upper body movement. If you have better lower body strength, have you considered a foot powered log splitter?. 1 Why Choose A Manual Log Splitter? Why Choose A Manual Log Splitter? There is one really great reason that stands above the other reasons in my eyes to choose a manual log splitter. And to put it simply, it doesn’t require any gas or electricity to run, so you will not have to worry about losing power and being unable to split logs. Having that Independence knowing that you can create firewood on demand no matter what Mother Nature throws at you is empowering. It gives you the confidence no other machine can give. But it does come at a price, that is more intensive labor. Since it doesn’t have the big parts like a gas/electric powered log splitter, owning a manual log splitter is a lot more portable. This makes it a lot easier to transport the machine to where you have to split logs. This can come in handy if you want to help out your neighbors, family etc. Being smaller and more practical, means they are also very easy to pack away ,. The beauty is that they don’t take up a lot of space in the garage, basement, shed etc. Since it isn’t gas powered you don’t have to worry about fumes so you can split wood in the comfort of your own home, and not have to deal with the cold weather outside. This is a huge plus in my opinion. With an electric wood splitter you have to worry about if you have an outlet close by for it, or have extension leads running everywhere just to find out it may or may not trip your circuit breaker. These are problems you jut don’t have to worry about with a manual log splitter. There are a lot of advantages to the other types of log splitters, that if you want to read about, you can find my electric reviews here, and my gas powered log splitters here. One thing to remember with these manual log splitters is that, they’re not going to split the massive logs that a gas powered one can, they just don’t have the power. But at the same time, they also don’t have the higher price tag a gas one can fetch. The Sun Joe LJ10M 10 Ton Log Splitter, is quite the incredible little machine that has surprised us with what it could do. This manual wood splitter would make a great addition to someone who isn’t planning on splitting cords of timber, but more just need to split some to keep your wood burning stove going strong. One feature I really like on the Logger Joe is how it has 2 levers, with one designed to be of a higher pressure that makes it slower, but get through more difficult knots. The other lever is a lower pressure that is faster and better suited to less knotted wood. While you can split cords of wood with this machine, it certainly wouldn’t be the quickest way to go about it. If you need logs like they are going out of fashion then I would recommend a gas or electric log splitter if you’re going to be needing that much split wood. But the Logger Joe can do it, it will just take some time. But it is still far quicker and easier then splitting the old fashioned way. 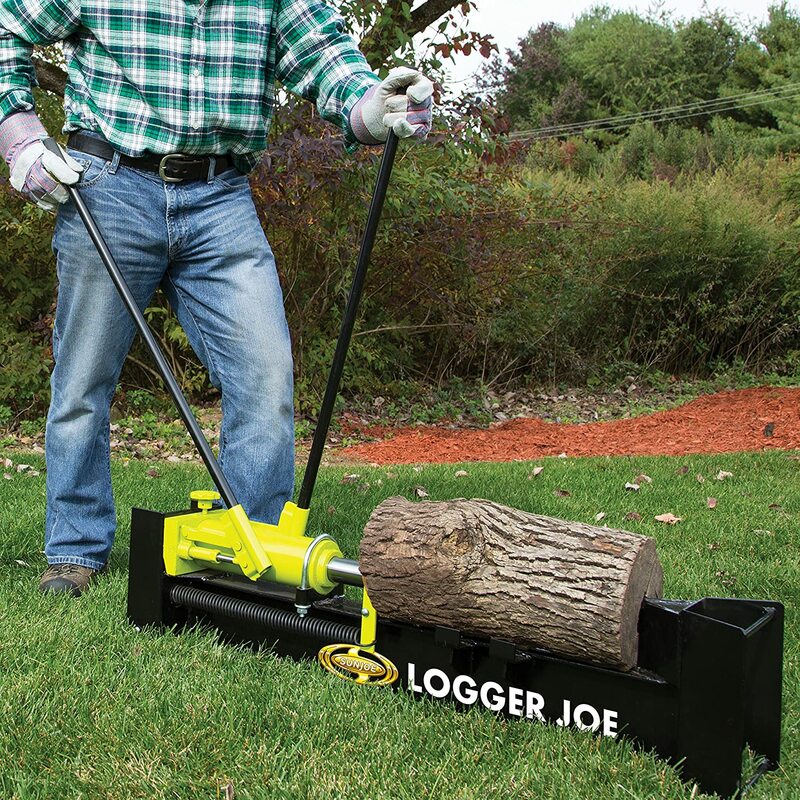 Very easy to set up, just take it out of the box and add your handles, and you’re ready to start splitting logs with the best of them. I really do like the 2 lever set up, just made life on those tougher logs so much easier. No more back pain from spending hours swinging an axe or maul, which is a god send. Being so easy to operate, I’m finding we have our fire places going more often, and for longer since I no longer have to split logs with an axe. Knowing I can split wood on demand too, regardless of whether we have power or not has certainly let us have the freedom to use the fire place more. There is one downside that I need to mention (with a simple fix), but still thought I should mention it. When you’re splitting logs with this machine, the hydraulic splitter doesn’t extend all the way to the end. So when you’re cutting logs sometimes you have to turn the log around and split from the other side. With logs that are smaller then the max size of 18 inches, I found we had to put other logs behind the one we wanted to split, so it would go through what we wanted split. Yet again we have been surprised at just how well these manual log splitters have performed in splitting logs The Wel-Bit 10 Ton Log Splitter is no exception to this trend. If you’re uncomfortable with using an axe then this is the log splitter for you. It certainly takes the chore of splitting logs the old fashion way. At the same time it can be a bit of a cardio workout if you’re a little out of shape like myself(use to gas powered log splitters). I was a little worried with choosing this product initially, with some bad reviews that I had read. But after using it myself I realized that they were not operating this log splitter properly. If you use it properly and do it the right way by, success is imminent. By using both levers to bring the ram to the tip of the log, then making sure to use the right lever, the stronger pressure lever, to make the first split. Then once it has started to split proceed to use both levers to split the log to the end, then release the valve at the end of log splitter, to reset the ram back to it’s original position. Lastly you then close the valve when you have set your next log up to split. I really like how strong this manual log splitter is built, it is a very durable machine. It isn’t just great at splitting logs, it’s also good for splitting logs into kindling. When it arrived it didn’t need to be assembled or set anything up, so if you’re not a particularly handy person it’s perfect. Personally I found the levers on this log splitter to be at a better height then the Joe Logger above, which took even less stress of the back. This isn’t really a big problem considering who the target audience this machine is, myself and a few others have found this manual log splitter to be quite slow in terms of how fast it splits. It could even be the fact that I’m use to the speed of 25 ton and above gas splitters, so it is just my own bias opinion there. The YTL23101 10 Ton Manual Log Splitter is a great little yet tough machine. the YTL 10 ton manual log splitter is designed to be easy to use, even for first timers. It is very easy to use and set up, I found it was as simple as placing the handles in the correct position then put my log on the splitter, then off you go splitting logs. This log splitter did make me think that sometimes, we over complicate designs, that sometimes the simplest design is often the best, which is exactly what this log splitter does. 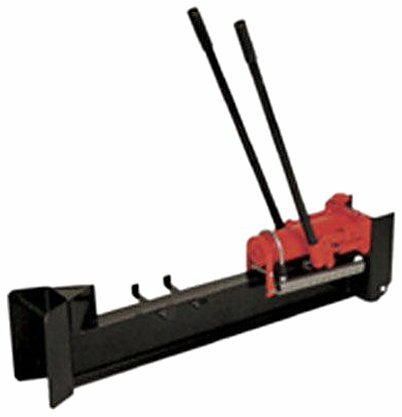 Out of the 3 manual log splitters that I have reviewed on this list, the YTL has what I believe to be the worst lever height out of all the splitters on this list. I found to make life easier on myself and my back, that placing the log splitter on a higher platform certainly made my life a lot easier using this log splitter. That is only a small problem that myself and a few others have had, so it is something you may want to think about if you choose this particular manual log splitter. If you don’t consider yourself a tall person, than the lever heights will probably be perfect height for you. But if you consider yourself taller, than I would go with the Wel-Bilt model simply based on the height of the levers. Other than this issue, the YTL has a lot to offer at a very affordable price.